with the support of the Embassy of Indonesia. ANGKLUNG IS EASY & FUN! Every one can play Angklung! All you need to do is shake the instrument and smile. 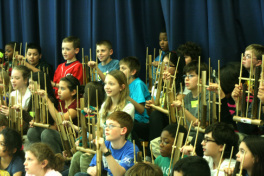 Students will play songs with Angklung even if they do not have any musical background. 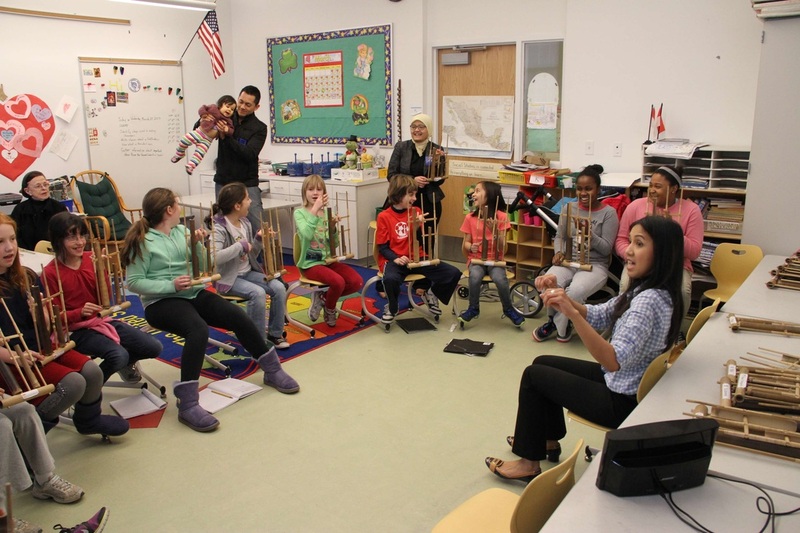 Angklung helps to develop meaningful values in music education, such as increasing awareness on music, emerging music sense, and developing rhythm sense, melody and harmony. Students will play single note, then will progress to a simple melody and will learn to play a few short songs by the end of the program. 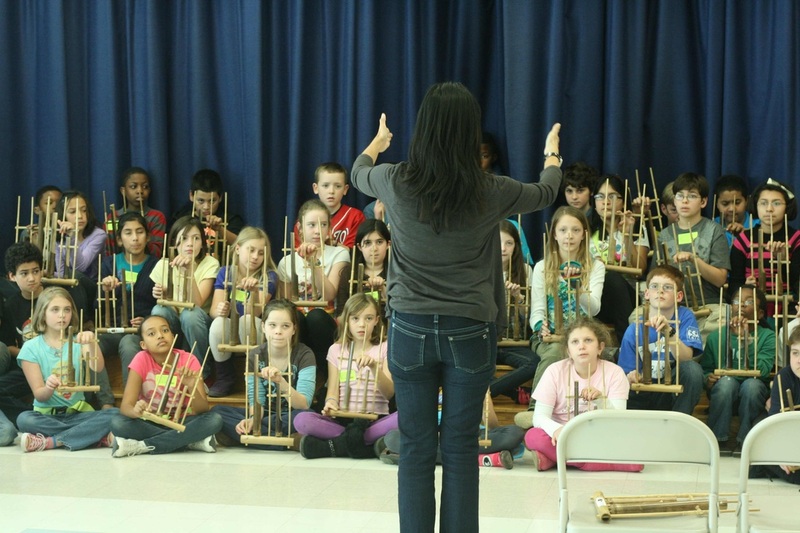 Angklung can help schools to introduce students to other culture. The 45 minute program offers students an opportunity to be part of Indonesian culture. They will touch hold and play the bamboo instrument by shaking it. Students will follow the conductor's instruction, which is the universal music hand sign, known as the Curwen Method, and will learn to play this ancient traditional Indonesian instrument. No musical background is required, and the Angklung is simply played by shaking it. This program has been approved by Montgomery County Public School (MCPS) as one of its Performing Art & Cultural Program for year 2012-2013. To see the MCPS Performing Arts Catalogue please click here.